Packaging Details: Discerrtly packaging and ensure 100% security to customs. Trenbolone Enanthate cas10161-33-8 also shines is in its ability to greatly preserve lean muscle tissue.When we diet, in-order to lose body fat, not weight but body fat we must be in a caloric deficit; we must burn more calories than we consume. As a result, as the body fights change with a desire to hang onto stored body fat due to its survival nature lean muscle tissue is often sacrificed in-order to meet its energy needs. As we lose more lean muscle tissue, this slows down the metabolic rate, and of course, it makes the physique look worse; Trenbolone Enanthate will prevent this. 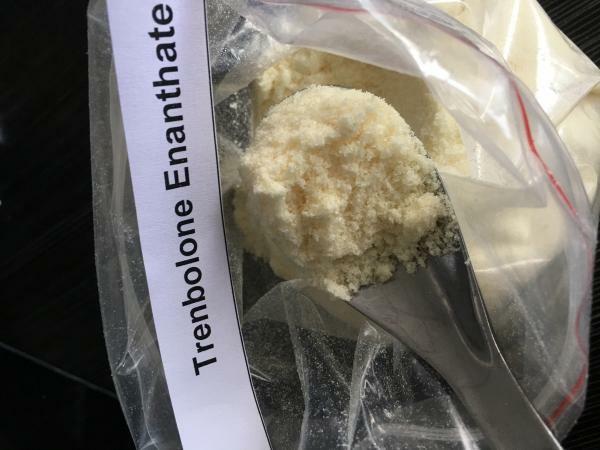 Of course, it gets even better; through its traits, Trenbolone Enanthate will provide the ultimate in visual conditioning effects. 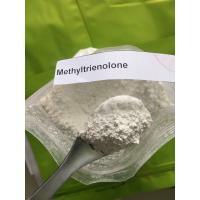 Trenbolone Enanthate is a steroid that will greatly increase muscular endurance, more work can be done and you will not tire out as fast and it . 434-07-1 Oral and injectable--Oxymetholone / Anadrol / Anapolon Steroid Raws The specification conform with Enterprise Standard. 10418-03-8 Oral and injectable--Stanozolol / Winstrol Steroid Raws The specification conform with Enterprise Standard. 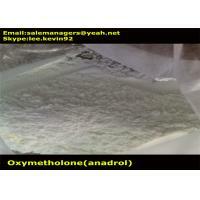 53-39-4 Oral and injectable--Oxandrolone / Anavar Steroid Raws The specification conform with Enterprise Standard. 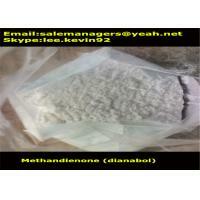 72-63-9 Oral and injectable--Methandienone / Dianabol Steroid Raws The specification conform with Enterprise Standard. 10161-34-9 Oral and injectable--Trenbolone acetate/ Finaject Steroid Raws The specification conform with Enterprise Standard. 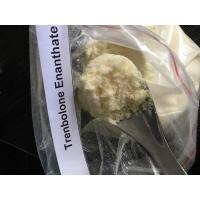 -- Oral and injectable--Trenbolone enanthate Steroid Raws The specification conform with Enterprise Standard. 434-05-9 Oral and injectable--Methenolone acetate/ Primobolan Steroid Raws The specification conform with Enterprise Standard. 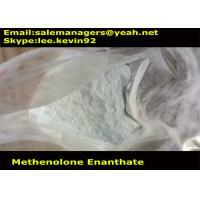 303-42-4 Oral and injectable--Metenolone enanthate/ Primobolan Depot Steroid Raws The specification conform with Enterprise Standard. 521-12-0 Oral and injectable--Drostanolone Propionate/ Masteron Steroid Raws The specification conform with Enterprise Standard. -- Oral and injectable--Drostanolone enanthate/ Masteron Enanthate Steroid Raws The specification conform with Enterprise Standard. 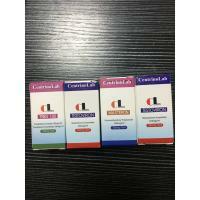 -- Oral and injectable--Testosterone Blend/ Sustanon Steroid Raws The specification conform with Enterprise Standard. 58-22-0 Oral and injectable--Testosterone without ester Steroid Raws The specification conform with Enterprise Standard. 315-37-7 Oral and injectable--Testosterone enanthate/ Delatestryl Steroid Raws The specification conform with Enterprise Standard. 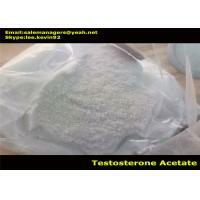 1045-69-8 Oral and injectable--Testosterone acetate Steroid Raws The specification conform with Enterprise Standard. 1255-49-8 Oral and injectable--Testosterone phenylpropionate/ TPP Steroid Raws The specification conform with Enterprise Standard. 58-20-8 Oral and injectable--Testosterone cypionate/ Depot Testosterone Steroid Raws The specification conform with Enterprise Standard. 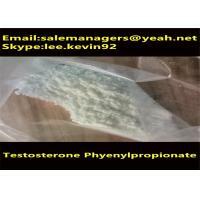 57-85-2 Oral and injectable--Testosterone propionate / Synovex Steroid Raws The specification conform with Enterprise Standard. 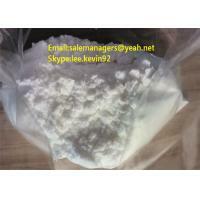 5721-91-5 Oral and injectable--Testosterone decanoate Steroid Raws The specification conform with Enterprise Standard. 15262-86-9 Oral and injectable--Testosterone isocaproate Steroid Raws The specification conform with Enterprise Standard. 5949-44-0 Oral and injectable--Testosterone undecanoate/ Nebido Steroid Raws The specification conform with Enterprise Standard. 1424-00-6 Oral and injectable--Mesterolone/ Proviron Steroid Raws The specification conform with Enterprise Standard. 360-70-3 Oral and injectable--Nandrolone Decanoate/ Deca Durabolin Steroid Raws The specification conform with Enterprise Standard. 62-90-8 Oral and injectable--Nandrolone Phenypropionate/ Durabolin Steroid Raws The specification conform with Enterprise Standard. 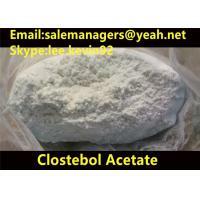 106505-90-2 Oral and injectable--Boldenone Cypionate Steroid Raws The specification conform with Enterprise Standard. 13103-34-9 Oral and injectable--Boldenone undecylenate(Equipoise) Steroid Raws The specification conform with Enterprise Standard. 54965-24-1 Oral and injectable--Tamoxifen citrate Steroid Raws The specification conform with Enterprise Standard. 50-41-9 Oral and injectable--Clomiphene citrate / Clomid Steroid Raws The specification conform with Enterprise Standard. 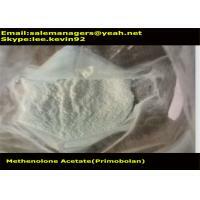 107868-30-4 Oral and injectable--Exemestane / Aromasin Steroid Raws The specification conform with Enterprise Standard. 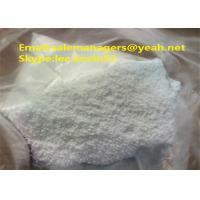 120511-73-1 Oral and injectable--Anastrozole/ Arimidex Steroid Raws The specification conform with Enterprise Standard. 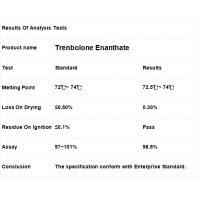 23454-33-3 Oral and injectable--Trenbolone Cyclohexylmethylcarbonate /Parabolan Steroid Raws The specification conform with Enterprise Standard. If you want to build strong upper limb muscles and strength, you have to practice shoulder pushing! Shoulder push is one of the best exercises to develop the upper body muscle strength, mainly to develop the power of our vertical push! The main training is the deltoid muscle of the shoulder, the trapezius muscle, the upper chest, the arm three heads, because it is standing, it is a challenge to our core strength! Usually we will use the barbell and the dumbbell pot to carry out the shoulder push! But today I want to introduce you to the hex barbell! Hexagonal barbells have also been introduced to you before, and it is definitely a great choice when carrying out deadlifts and farmers walking! Take advantage of the hex barbell shoulder push! Due to its Neutral Grip: palm-relative design, it can relieve stress on the spine and joints while performing movements. It gives your palms a natural neutral position, which is more friendly to the shoulders than the palm-front grip, especially for those who have suffered injuries to their shoulders. In addition, when pushing the hex shoulder, it moves vertically up and down compared to the Olympic bar, and does not need to bypass the neck. The practice is the same as the traditional shoulder push, the stability of the body is the most important! All you have to do is clamp your buttocks and tighten your abdomen to make your torso full of rigidity.